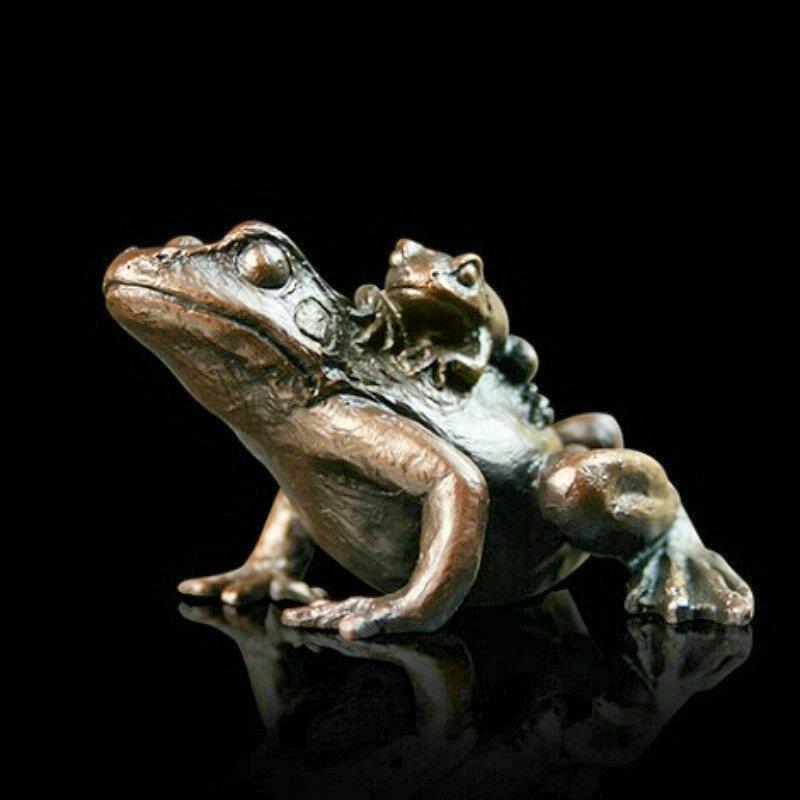 Charming sculpture in solid bronze of a frog with its baby on its back by renowned wildlife sculptor Keith Sherwin. This nicely observed, beautifully detailed bronze, limited edition sculpture would a be fine addition to a collection of wildlife bronzes or the perfect gift for a nature lover. Fine English bronze, hot foundry cast then hand finished..